Sesame Street Nintendo DS Games As Low As $5.99 - Down From $19.99! You are here: Home / Great Deals / Amazon Deals / Sesame Street Nintendo DS Games As Low As $5.99 – Down From $19.99! Sesame Street Nintendo DS Games As Low As $5.99 – Down From $19.99! 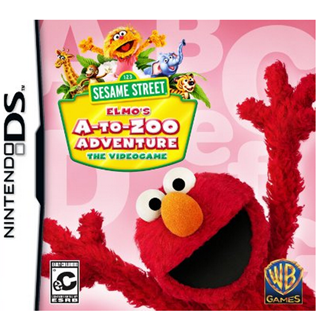 Amazon has some great deals on Sesame Street Nintendo DS games today! Sesame Street: Cookie’s Counting Carnival $6.84, down from $19.99! Sesame Street: Ready, Set, Grover! $5.99, down from $19.99! Sesame Street:Elmo’s A-To_Zoo Adventure $7.33, down from $19.99! These are some great markdowns for these!